Provide additional sleeping arrangement by choosing this sectional. It comes with a pull-out bed hidden underneath the seat, ready to use in any minute. With the leatherette upholstery, it's practicality in construction and attractiveness in design will make this sectional stand out in your living room. Tufted back and seat cushion and padded arm rests are other features of this sectional. 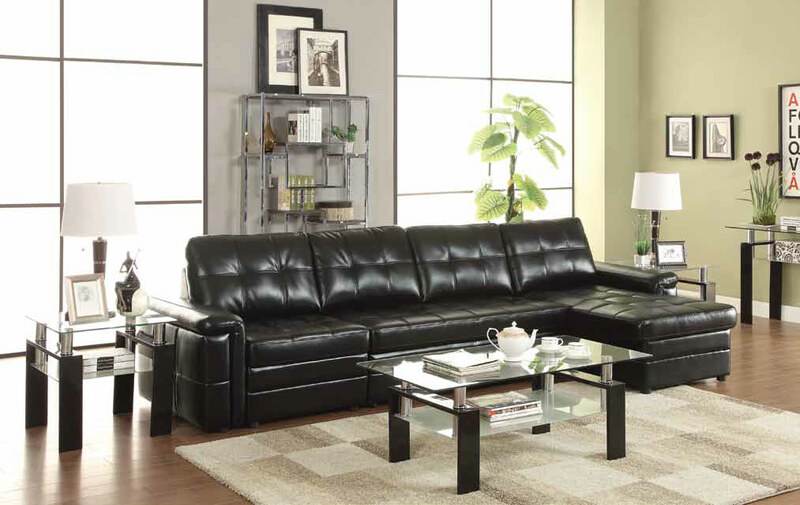 The reversible set up allows you to adjust this sectional to accommodate your space.